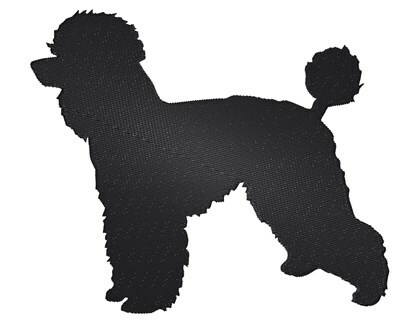 An absolutely adorable poodle silhouette! Any dog lover would love this on a toy bag for all their treats! King Graphics is happy to present Poodle Silhouette machine embroidery design which has 13905 stitches and is [127.00 mm x 111.76 mm] large. If you would like to view more embroidery patterns please search on our embroidery designs page.